The Iditarod Trail Sled Dog Race is one of Alaska’s iconic winter events, and the excitement starts in Anchorage on the first Saturday of March each year. The 2019 race gets underway at 10 a.m., on Saturday, March 2. The Iditarod course begins on Fourth Avenue at D Street and runs all the way to Campbell Creek Science Center. Onlookers get a close-up view of the teams. Spectators flock to the start line downtown or stake out a spot further down the 11-mile route through Anchorage. 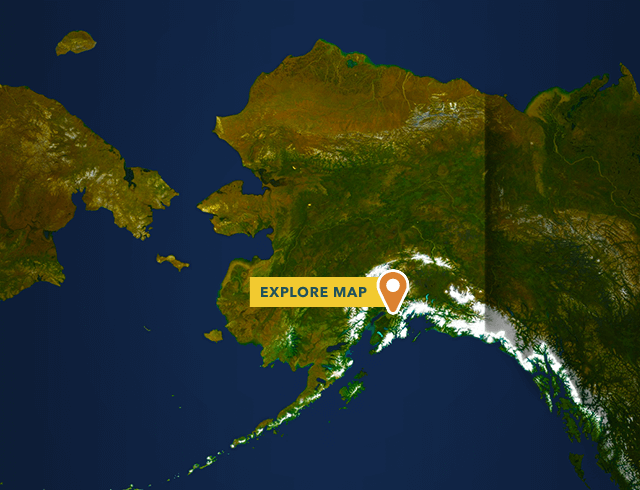 After a restart at Willow the following day, Iditarod mushers and their dogs battle the elements and test their own limits on the approximately 1,000 mile trail to Nome. Visit a kennel: In the weeks leading up to the Iditarod, mushers open their kennels for tours and many offer teach the tricks of managing a team of dogs. Hop on the runners of a sled and try dog sledding for yourself. Attend the banquet: The Musher’s Banquet is the Thursday before the start at the Dena’ina Center in Anchorage. Mushers draw their starting order at the gala, which features a plated dinner and plenty of time to meet the mushers. Chase the race: You can also follow the Iditarod by air on a special flightseeing package or take a snowmobiling tour to cheer on the amazing four-legged athletes as they make their way to Nome. Winterlake Lodge serves as a checkpoint and fills up fast during the dates teams pass through. Head to HQ: There&apos;s plenty of Iditarod action in Anchorage after the start. During the race, activity centers on The Lakefront Anchorage – official headquarters of the Iditarod Trail Sled Dog Race. The hotel is command and control for race officials, volunteers and fans following the race from Anchorage. Ride the first miles on race day: For a sample of what awaits on the trail, secure a spot in one of the Iditarod contenders’ sled baskets during the Anchorage ceremonial start. Spots for this once-in-a-lifetime experience are limited and are auctioned off in December and January to the highest bidders in the IditaRider Auction. Volunteer: Volunteers help handle dogs on start day, communicate with checkpoints, monitor race updates and more. The volunteer spots offer everyone interested a way to lend a hand and participate in Iditarod. The start of the Iditarod coincides with other great winter events. Anchorage Fur Rendezvous is one of the largest winter festivals in the world, and finishes a 10-day run on the weekend of Iditarod. 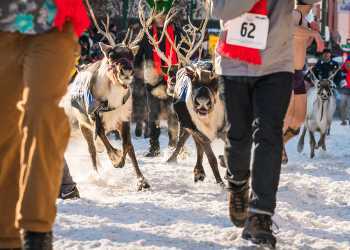 The Running of the Reindeer, a dash down Fourth Avenue with live reindeer, are on the afternoon following the Iditarod Start. The Charlotte Jensen Native Arts Market, snow sculpture competition and Miners and Trappers Ball are all on Saturday too. Dog sleds aren’t the only thing sliding along the trails. The Tour of Anchorage, a community cross-country ski race, takes to the trails on the day following the Iditarod start in Anchorage. It’s also a great time to check out downhill skiing at Hilltop Ski Area, Arctic Valley and Alyeska Resort. 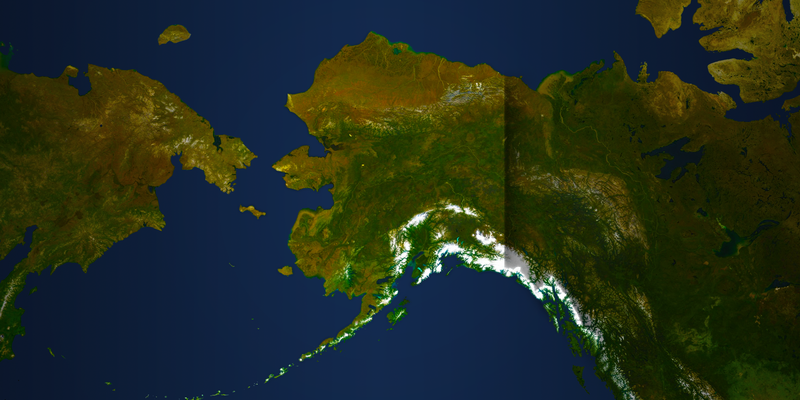 From city to summit, your journey begins in Anchorage.